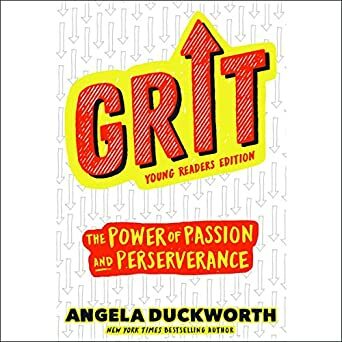 In this young readers edition of the instant New York Times best seller Grit, MacArthur Genius Award-winning Professor Angela Duckworth offers insights into who succeeds in life and why the secret to achievement is a special blend of passion and persistence she calls “grit”. The daughter of a scientist who frequently noted her lack of “genius”, Angela Duckworth is now a celebrated researcher and professor. It was her early eye-opening stints in teaching and neuroscience that led to her hypothesis about what really drives success: not genius, but a unique combination of passion and long-term perseverance. In Grit: Passion, Perseverance, and the Science of Success, Duckworth shows young people how they can achieve remarkable things not just by relying on natural talent, but by practicing a unique form of focused persistence. She also teaches them how to be better at pursuing the small goals that will bring joy into their everyday life. Drawing on her powerful personal story, Duckworth describes how a youth spent smashing through every academic barrier resulted in the hypothesis that the real predictor of success may not be inborn “talent” but a special blend of resilience and single-mindedness. Through her descriptions of field research at venues as various as the National Spelling Bee (where students who score highest on the “Grit Scale” land in the final rounds) to work with Pete Carroll, coach of the Seattle Seahawks, who was building the grittiest culture in the NFL, Duckworth shows how “grit” works in the real world. She also passes along insights gleaned from interviews with dozens of high achievers including the New York Times crossword editor, the dean of admissions at Harvard, and more. In my opinion, its very hard to present research a free flowing way. Angela has done that brilliantly. The book flows like a poetical masterpiece. Angela highlights the importance of perseverance, focus and consistency backed by scientific evidence. She has keen interest in science of human behaviour. Her interest and keenness to understand the traits which lead to success is evident from her writing. She takes her finding one step forward by prescribing best practices for developing grit. How to practice a skill. The importance of culture in nourishing grit. Being a parent herself, she has added a chapter for parenting and grit. It's a brilliant read. I've read a tonne of books on psychology & this rates as one of the best I've read because of the pure insights & aha moments on offer. I have taken many, many notes so I can continue learning how to become grittier in my personal & professional life. the book was well researched but offered few if any insights. Good read to learn the reasonings for why some people push on & others don't. She's definitely passionate about the topic. Anyone who has an ambition to be "great" or to help, parent, coach or encourage greatness in someone else should read this book. It's a wonderfully read, highly recommended!